When you come on one of our Motorcycle tours in Europe we want you to experience the journey, feel it and be part of it – You have the opportunity to ride on our tours and enjoy stunningly breathtaking scenery, wonderful food and wine and real quality hotel accommodation in some of the best regions available for touring motorcyclists. There are many missed opportunities and missed experiences throughout life. Many people wait longingly for the right moment or the right time to do something they have dreamt about. We don’t wait any longer for that moment or for that opportunity with our motorcycle tours. You have your bike, you have your dreams, just get on and ride with us. We have many years experience in organizing and running Motorcycle tours in Europe and customers can have total confidence in our ability to provide the very best service. 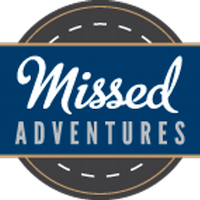 Missed Adventures offer that customer service, whilst providing professionally organized and well run motorcycle-touring holidays. Our motorcycle tours do not involve excessively high mileage days and in no way are they a race against the clock or each other – no one gets left behind. Excessively high mileage days on a motorcycle are not in our opinion, an enjoyable or relaxing holiday – I have done plenty of this as a solo rider throughout the UK and in Europe in the past and it gets to the point where it is no longer a pleasure! Our guided motorcycle tours are designed to be manageable by everyone. It should be enjoyable and relaxing for all – including any pillion passengers. We want you experience the benefits that an exclusive motorcycle-touring holiday has to offer. We stay in beautiful hotels during our tours, offering quality rooms and excellent facilities. These hotels are city, town or village based – depending on the tour being run and they provide either covered and secure, or secure parking for your motorcycle at each overnight location. We also have the benefit of going off the beaten track and staying in beautiful secluded locations. Our personal research for quality hotel accommodation, in the right areas on our routes, will give you the customer the upmost confidence that your accommodation is somewhere you would want to return to. 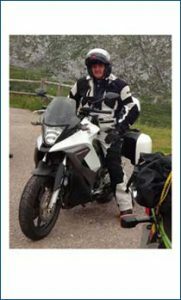 Choose a guided motorcycle tour in Europe with Missed Adventures and ride some of the most fantastic roads in Europe and the UK.